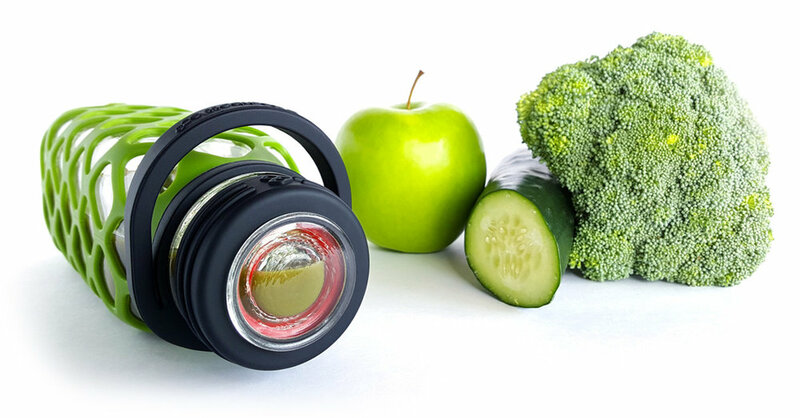 Our glass bottles do not contain common plastics that are present in other water bottles. The caps we designed are made from silicone and glass for maximum purity and safety. The Meshbottle is a great first step if you are looking to reduce your exposure to plastic chemicals. Meshbottles are amazingly easy to clean. Have you ever owned a water bottle with a cap that turned inside out? 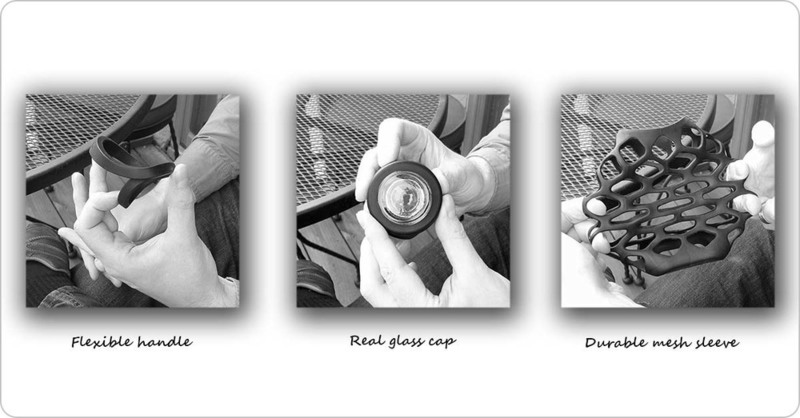 Check out these videos here and here to see the ease with which you can clean your bottle lids. No more trying to get rid of mold from between the threads of a rigid plastic cap. 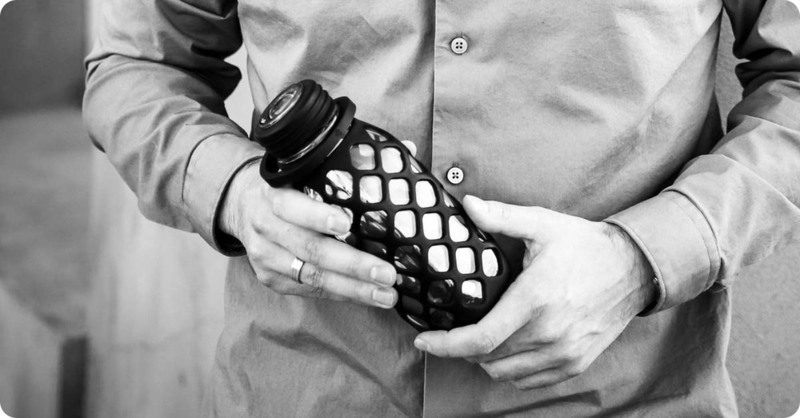 Meshbottles are durable and reusable, and are a great alternative to single-use plastic bottles. We like to say that even when you are holding a different color, deep down each Meshbottle is green. Switch today and save our oceans from single-use plastics. 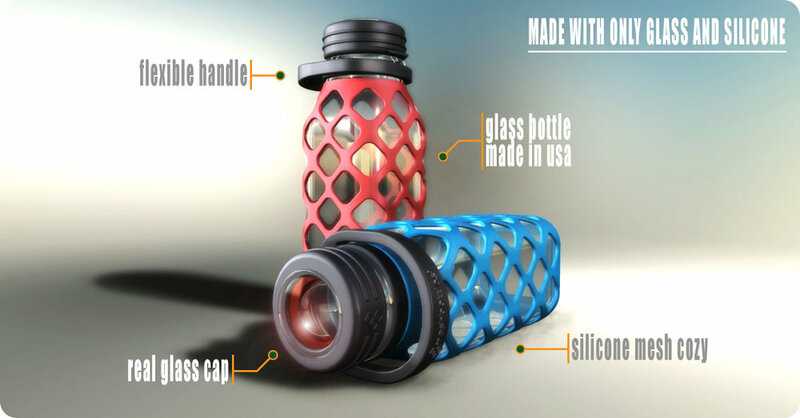 If you have been looking for a truly glass water bottle only to find that even the most expensive brands have plastic parts. With a Meshbottle you can finally say good-bye to half solutions! If you are tired of plastic bottles that are impossible to clean due to their intricate cap designs. Even the dishwasher can't get them perfectly clean! If you can't stand the smell of plastic (or metal) in your water bottles. Let's be honest: if your water smells like plastic you are probably drinking plastic. 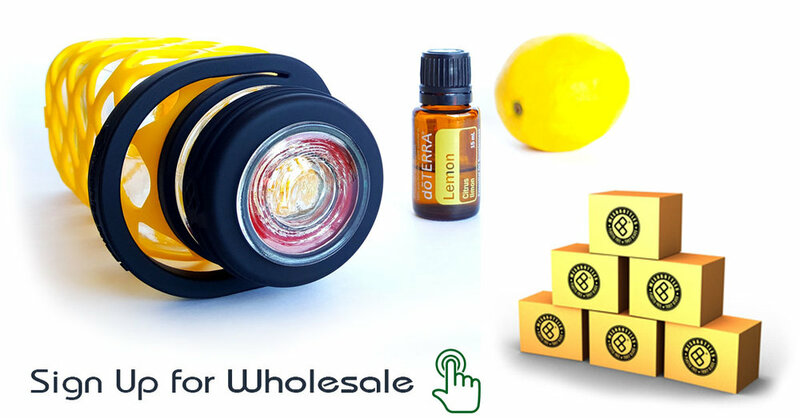 If you like to infuse your beverages with Essential Oils and are skeptical about the safety of plastic components. If you care about the environment and support reduce, reuse, recycle. Help stop the proliferation of single-use plastic bottles by switching to a reusable glass alternative.